When I first started homeschooling, I was excited to fill out my first lesson plan book. I bought it at the teacher’s supply store. It had a big apple on the front, and unlined blocks to write in. I used it faithfully every day, but it didn’t take too long before I began wishing it had various features it was missing. Features I didn’t even know I needed, until I began using it. Every homeschool mom starts to accumulate a mental list of things we wish we had in a planner. So many publishers have tried to create “the ideal planner” for homeschool, the choices are mind boggling! Come with me, and we’ll take a little walk through the myriad of choices that you have in the area of lesson planners and you’ll get to see which one I prefer too! This post contains affiliate links. Post updated 1/31/17. Basic, like this BW Collection Lesson Plan Book. They are geared for a classroom teacher, so they usually have a seating chart, a yearly planner for activities, and 40 lesson planning grids. Most of the basic planners are spiral bound and have unlined blocks and unlabeled subject headings. Full, like this Teacher Plan Book from Teacher Created Resources. I’ve actually used this particular planner a few times in the past. It has more classroom organizational pages, a much wider two page spread, and the planning grids are all lined. For me, lined blocks are very important! Also spiral bound, which is nice because it lays flat. Still these planners take a while to set up, because you have to write in all of your headings and lesson information, and they are not geared for a homeschooling family. I always tear out the seating charts and other unnecessary pages. Cute, like this Teacher Planner. This is a newer planner and I haven’t used it, but it looks like it would be a lot more “fun” to use than some of the other basic planners. Contains 40 weeks’ worth of planning grids, typical “schoolish” supplemental pages for substitutes, seating, etc, and inspirational quotes throughout. And colors! It is cute, but definitely more basic. Those are just classroom and school “teacher” type planners. We’re homeschoolers! We don’t have 24 students in our class. Many of us don’t have more than 5 or 6, and most of us have less than that. We multi-task all day long too. We have to plan meals AND school lessons AND appointments AND sports AND work! A few homeschool publishers have come to our rescue. The Ultimate Homeschool Planner by Apologia brings simple organization to lesson planning. Featuring a sturdy coil binding and heavy, jelly- and coffee-proof covers with pockets inside the covers, this planner is prepared for you. This planning system includes Pre-Planning Guides, UNDATED Monthly Planners, UNDATED Weekly Planners (lined grids) for 40 weeks, Record keeping for grades, reading and activities, as well as Teaching Tips, a High School Planning Guide, and much more. Why is being un-dated a big deal? No wasted pages! Just pick up and start again and use the whole planner. Four different covers/page themes available for different looks depending on your style. 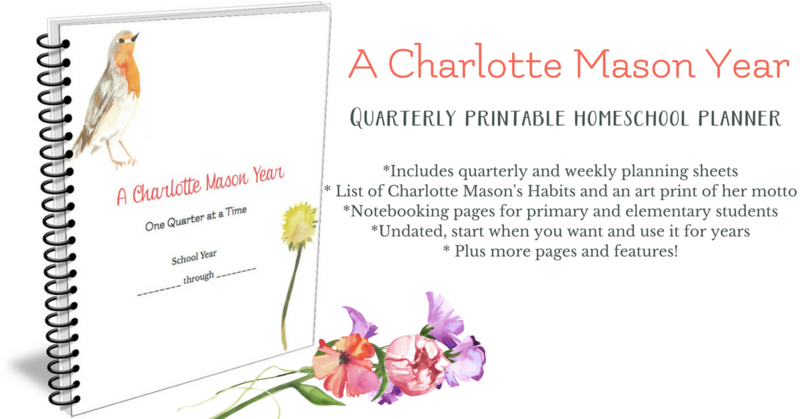 A Charlotte Mason Year Quarterly Planner is a gorgeous specialty planner, specifically for CM style homeschoolers. Focusing on habits, nature study, and short lessons, this planner allows you to record your learning and plan loosely, according to your child’s natural bent. Print and plan one quarter at a time throughout your year and you’ll never feel behind. The Weekly Homeschool Planner by Homeschool Creations is a fairly comprehensive, downloadable planner that uses editable PDF’s. The nice thing about these is that you can type your own headings, names, and even basic lesson planning that is repeated, before you print out your planner, thereby eliminating the need to spend lots of time doing it by hand. Includes 40 weeks of lesson planning sheets, journal pages, attendance tracking, to-do lists, chore charts, menu planners and more. This planner is also un-dated. The Happy Planner is NOT your typical homeschool lesson planner, because it isn’t designed for homeschooling at all. The funny thing is that these are popping up EVERYWHERE, from homeschool conferences to blog conferences, with hundreds of add-ons, stickers, washi tape and other things that moms are loving to make these adorable planners their very own. Home School Tracker gives you flexible record keeping, lesson planning, and online reports. Keep track of your home library and curriculum, items lent and borrowed, set repeating assignments and chores, print daily or weekly checklist plans for your students, and so much more. Yearly records are stored securely, and transcripts and report cards are easily printed. Homeschool Tracker is the Photoshop equivalent to all the other homeschool lesson planning software. This software was first offered as a free download, with a CD-ROM upgrade called “Plus” but which has been discontinued in favor of the Online version. The HST Basic version is still free to download, and will do almost everything that the online app does. It is a good way to try before you buy. Homeschool Day Book is a basic, computer journaling software for recording your school work as it happens, and it is by far my favorite. It is set up as a journal, for recording after the fact. You can track classes, students, and hours, and use it as attendance documentation. I really like this program because I didn’t feel like I was tied to it for weeks just learning how to use it. It literally took me about 2 hours of light use and I had it all figured out. I can print out attendance reports by child, by time spent per day or per subject, and even print out the entire years’ worth of entries with descriptions if I need that much hard copy documentation. The “day book” design makes it very flexible, and while it isn’t meant as a plan-ahead type planner, you can enter items ahead of time as placeholders, and then enter the actual time your children spend on activities. Once the time is entered, it will show up in the attendance grid and log that day as a school day. It is simple and does exactly what it says: Documents your learning. It truly is a planner without the commitment! Download the 30-day trial to see how easy it is to use. Finding “the perfect planner” can be as tricky as finding the perfect curriculum. I hope I’ve given you some idea of what you have available to you. There really isn’t anything perfect out there, and since we change our minds and curriculum too, there never will be. We just have to find what will work well for us. Disclosure: I received a free copy of the Home School DayBook in exchange for my review. I was not expected to write a positive review, and the opinions expressed are solely my own. Dawn ~ I was just getting my post ready for tomorrow. I was going to do planning, but I did a post about that today!! ha! Great minds think alike! I wanted to invite you to link this post up at Three Thinking Mothers. We are talking lesson planning this week and have a linky open all week for planning posts. Yours is so comprehensive. It would be a great addition to our collection! Thanks Mary! I actually read it and commented this morning! 🙂 Great minds DO think alike! I will go over and link mine up. I wasn’t sure it would fit, but if you think so then I’ll do it! It was a GREAT post! For the past couple of years I've used Sonlight which laid out the plan for the year for me. For the things that weren't covered by Sonlight, I would just have the girls do a certain amount of pages or lessons per week. This year, I'm not using Sonlight so have actually had to plan each area by week. I have so many different sheets going that I need to get everything combined into one master plan. Your list of different planners and links couldn't come at a better time! Thank you so much for reviewing each one and sharing what the strengths/weaknesses are. Now I don't have to spend lots of time looking for what I need – you've introduced me to lots of different options! You're welcome Ann! There are just SO many out there! I even forgot another GREAT resource that I use, too! It's call the Master Planner, and I am editing my post to include that one, too! (There's a link for you in this comment though.) 😉 I'm glad that I could help. Thank you Tammy, and thanks for sharing that! I had the sampler about a year ago, and it looked nice. Hey, did you know that Apologia is coming out with a new planner RIGHT NOW? It's similar to the Well Planned Day but for more students.. I haven't looked at it yet so I don't know much about it. Anywho…. I love my Well Planned Day planner which I started using last year. The four student slot is perfect for us because I can use one for group work and one for each of my three kids. I have pictures of some of the pages in my blog post today, but that's just the tip of the ice berg. Yes, you do have to repurchase it every year, but at the end of the year you have a good record of everything you did, read, visited, and so on. It's so big I'd definitely order it instead of printing it. There are places to record goals, grades, and report cards at the end. And like you said, the pretty colors was a major interest point for me. ;0) I'm thinking I need to do a post JUST for the planner with lots of good pictures. Yes, I thought it looked WONDERFUL! I have the sampler one. I just struggle with not finishing the year with the planner we started with. It's easier for me to go with software after the fact and a basic "planner" ahead. It IS so PRETTY though!! Thanks for taking the time to post about the planners. I am hearing so much buzz about them these last few days. I've got the bug to plan out my teenage son's high school information, for example, curriculum materials lists and such. I was thinking of buying him a planner, but I think I'll create a binder. I want to create a working transcript. I'm still in the thinking stages. Need to go to the office supply stores to see if I can find a daily planner where he can input what he works on. That's been what we do lately in a binder for now. I'd like to find something for his younger sister, too. Thanks for providing the free website from Donna Young; she's one awesome lady. Been using some of her stuff over the years. Rebecca, MasterPlanner has some GREAT high school planning sheets. Click the graphic, and it will take you to CurrClick. It's a $5 download I believe, for over 160 planning pages. You can make a notebook or you can take all the printed pages to the office supply and have the whole thing spiral bound for him. (That's what I do.) It costs around $2-3 to have a book done with spiral, including coverstock for the front & back covers. Thanks for taking the time to respond. I am going to look at that CurrClick download. I appreciate learning ways to ease our homeschooling documentation. I love the printables from Donna Young. She has such a comprehensive site and, like you mentioned, they are free. The Homeschool Day Book sounds like a good resource as well and I will be checking that out. Dawn, thanks for listing all these choices with a synopsis. At the beginning of last year, I decided to try Homeschool Tracker and had the same experience as you did. I spent so much time putting books in that I just threw up my hands and gave up. I hadn't heard of the Homeschool Day Book, but I may be pointing my browser over there sometime this week. It sounds like a really good option for us. Thanks! I hadn’t actually intended to write THAT LONG of a post and didn’t mean to include so many planners either! 1200+ words… that’s way up there for me! As I was writing though, I kept thinking of all the planners I have used and even the ones I have living on my computer RIGHT NOW and well, this is how it came out! 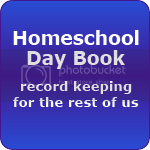 I stumbled on the Home School Daybook accidentally through a Google search last year. I hadn’t seen it advertised anywhere or anything, but I’m glad I found it because it’s simple and does just what I need it to do! Seriously, though, I've only tried The Well-Planned Day, as far as formal planners go, and I HATED it. It felt like trying to shove myself into somebody else's perfectly organized box. I haven't tried a planner since. Too scary. I did find a student planner once (won it on a blog giveaway) that was great for keeping track of kids' assignments. Thanks Cindy. Yes, a lot of those "perfect planners" feel that way because they were created with someone else's "perfect planner" in mind. I'm so glad I found your post! I'm homeschooling for the first time this year and will definitely need a planner to keep track of everything though I only have 1 kiddo to worry about. I'll be checking these out! Thanks so much!